With that much money up for grabs, it’s little wonder many companies are racing to secure a lead in this market, but only about a half dozen of these companies are arguably best positioned for a shot at victory. 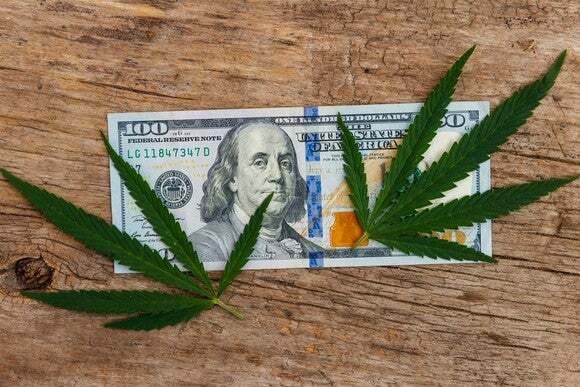 Of them, two that ought to be on your radar are Aurora Cannabis (NYSE: ACB) and Cronos Group (NASDAQ: CRON) , because both are delivering breakneck sales growth. Is one a better buy than the other? At both companies, turning those losses into profit is the key to long-haul success. One way these companies hope to do that is by ramping up sales of high-margin products like extracts that offer better pricing power than dried flower. At Aurora Cannabis, extracts represent roughly 21% of its quarterly pro forma sales and at Cronos Group, 28% of sales were extracts last quarter. Overall, Aurora Cannabis gets points in this battle because of its size advantage, but investors shouldn’t ignore Cronos Group altogether, because it hasn’t been nearly as acquisitive and its product mix is arguably better. Sky-high demand during the first weeks of Canada’s adult-use market has resulted in supply shortages, suggesting that producers that can increase their marijuana growing and extraction capacity quickly will be the biggest winners. Unsurprisingly, Aurora Cannabis is producing much more marijuana right now than Cronos Group. Last quarter, it sold 2,676 kilograms of cannabis, up 201% year over year, and its harvest increased 395% to 4,996 kg, giving it $80 million in inventory. That dwarfs Cronos Group, which sold just 514 kg of marijuana last quarter, up 213% year over year, and less than 1,500 kg through the first nine months of 2018. Aurora Cannabis is also far ahead of Cronos Group in realizing production gains from investments in greenhouses and automation. Last quarter, Aurora’s annualized production capacity stood at roughly 70,000 kg, but capacity should reach 150,000 kg early next year, and it could eclipse 500,000 kg in 2020. For comparison, Cronos Group’s annualized production capacity is roughly 6,650 kg now; including its ongoing projects, annual capacity is expected to increase to 117,000 kg per year. Cronos Group’s Peace Naturals brand is already cultivating cannabis at its new “Building 4”; that facility is expected to add 33,500 kg of capacity by the second quarter of 2019, increasing overall annual production to 40,150 kg. 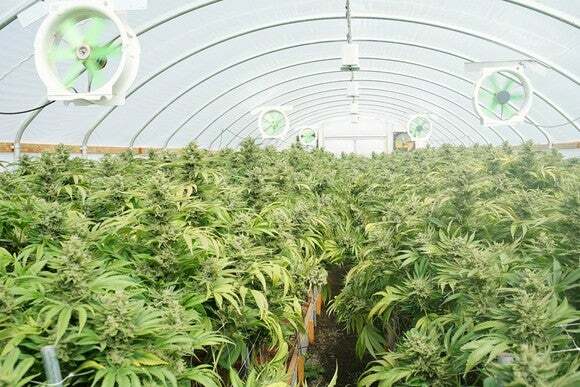 In the second half of 2019, its joint-venture greenhouse, Cronos GrowCo, should be complete, adding 70,000 more kg of production capacity. If we consider those peak production targets, capacity for Aurora Cannabis will increase 614% in the next one to two years, while Cronos Group’s production, including Cronos GrowCo, will increase an eye-popping 1,659%. Aurora Cannabis has the scale to establish a loyal following out of the gate, but the recreational market in Canada right now doesn’t allow for vapes, beverages, or edibles; those could dramatically shift market share and loyalties when they do become available, potentially as soon as 2019. This means that Cronos Group’s wholly owned subsidiary OGBC, which has launched the brands Cove and Spinach, could still challenge Aurora Cannabis in some provinces. Unlike Aurora Cannabis, which has licenses to sell to the recreational market throughout Canada, Cronos Group only has licenses in Ontario, British Columbia, Nova Scotia, and Prince Edward Island. Nevertheless, it could be a bit of an uphill battle for Cronos Group. Until it proves it can deliver on its lofty production goals, I think Aurora Cannabis remains the better of the two stocks to buy. Despite its spending, the 70% gross margin at Aurora Cannabis trumps Cronos Group’s 56% gross margin, and Aurora’s next-generation greenhouses should improve that margin advantage next year. Aurora Cannabis is also (relatively) cheaper than Cronos Group: Aurora’s valued at about 53 times its annualized sales last quarter, while Cronos Group is trading at about 105 times its annualized revenue last quarter. David and Tom just revealed what they believe are the 10 best stocks for investors to buy right now… and Aurora Cannabis Inc. wasn’t one of them! That’s right — they think these 10 stocks are even better buys. Small enough to know you, big enough to serve you ! Here works perfectly !